Shinjuku is one of the best shopping paradise of all time. From department stores, boutique stores to discount stores, you can literally find all your favourite brands and products under the sun. This guide will take you through some of the prime shopping spots to go to in Shinjuku, as well as some tips and advises for the best shopping experience! Both Lumine 1 & 2 are directly connected to the south exit of JR Shinjuku Station. They offer a wide number of shops and restaurants and the line-up of the stores is changed regularly to give shoppers a fresh mall experience all the time. Get ready to shop till you drop! 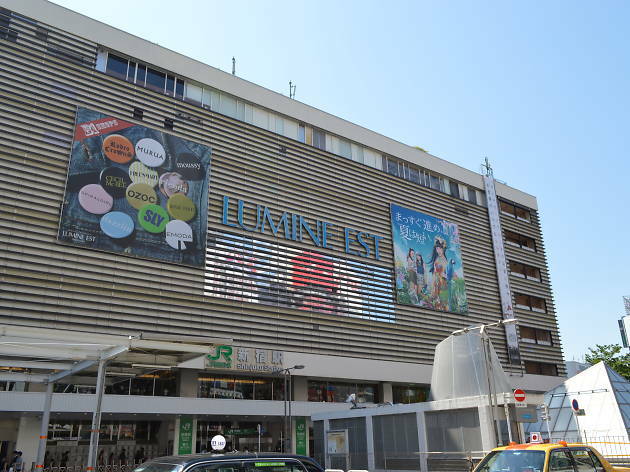 Lumine Est is the largest of the 3 Lumine malls at Shinjuku, focusing mainly on women’s fashion and accessories. The shops here carry popular and trendy Japanese brands and you’ll definitely find a piece that catches your eye! More than that, the mall also offers great dining options on the 7th and 8th floor of the building (it has a unique name, “7&8 Dinner”). The interior is specially created by celebrated designer Sugimoto Takashi. Lumine East sits above the east exit of Shinjuku station. Opening Hours: 11am - 10pm on weekdays. 10.30am to 10pm on weekends. This mall is the new kid on the block. Located at Shinjuku station’s south exit, the mall has a wide selection of fashion boutiques, food outlets and restaurants. One highlight of NEWoMan is the confectioner, KOKOLUMINE, who is opening its store for the first time in Japan! The Fashion Zone is open from 11am – 10pm, Ekinaka Zone (meaning “inside the station”) from 8am to 10pm, and the Food Hall from 7am to 4am. What’s even more special about NEWoMan is its open-air “farm” on the 7th floor and open-air garden on the 6th floor! A great place to retreat from the hustle and bustle in Shinkuku. New: Lumine 0 is on the 5th floor of NEWoMan and it is the latest edition to the Lumine family in Shinjuku. Opened in April 2016, it offers space for concerts and exhibitions. Visit the Blue Bottle Coffee branch (a pretty famous coffee outlet worth a visit) here! Isetan is definitely worth a visit when you are in Shinjuku. Founded in 1886, this branch is the head store of Isetan and it is widely known to have one of the best food basements in Tokyo. Refurbished in 2013, Isetan has a “fashion museum” theme offering a selection of trendy and uptrend items. Look out for their eye-catching window display designs! The Takashimaya Times Square is an icon of Shinjuku. 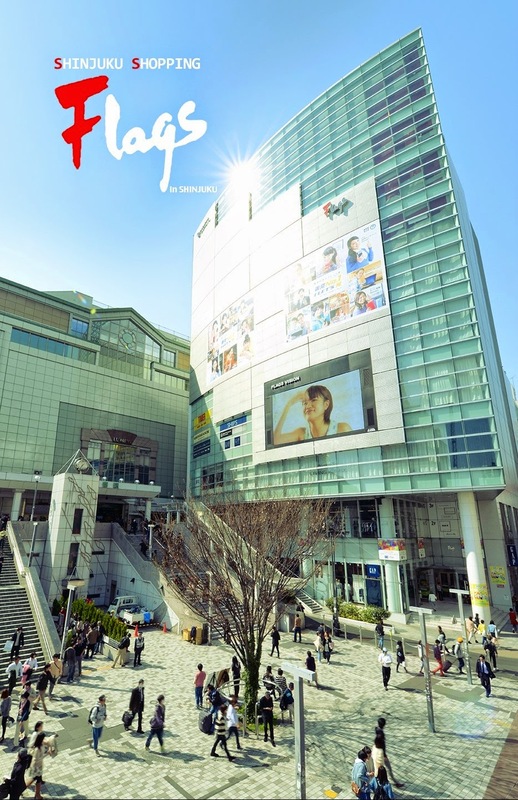 Having 15 floors, Takashimaya houses the Tokyu Hands branch, Kinokuniya bookstore and several luxury brand boutiques. Check out their food basement as well! It is a great place to pick up some Japanese bento, snacks and gifts for your loved ones. Takashimaya can be accessed from the south exit, new south exit, southern terrace exit, and some walkways from Shinjuku-Sanchome subway station. 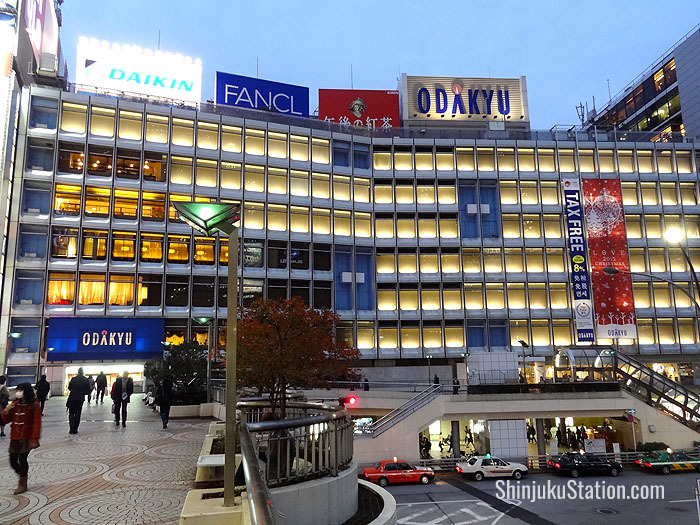 Similar to Takashimaya, Odakyu is a full-service 16-floor department store on the west side of JR Shinjuku Station. Not just having a food basement and restaurant floors, the cosmetics department is one of the largest in Japan. The department store is managed by Odakyu Group (the same company running Odakyu Electric Railway) and is directly connected to the west exit of Shinjuku station. 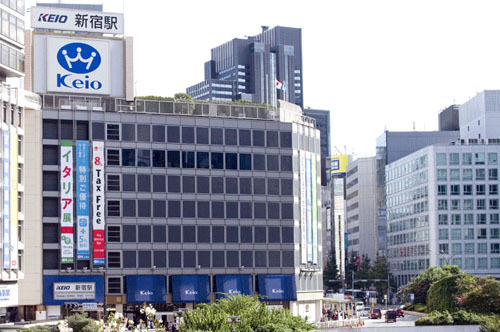 Located on the west side of Shinjuku, the Keio department store is right next to the limousine bus stop that connects to Narita and Haneda airports. Keio offers a wide selection of items including clothing, accessories, cosmetics, household goods, food, souvenirs and more. On the 7th floor of the building, there is a special event space where they hold their signature events, check out what they have this season! Opening Hours: 10am - 8.30pm on Mondays to Saturdays. 10am to 8pm on Sundays. Young shoppers would definitely love MyLord. The mall is located at the south exit of Shinjuku station and has seven floors specially catered to casual fashion for young women. In addition, there are two floors of restaurants that serve reasonably priced food – you wouldn’t have to burn a hole in your pocket for food again! MyLord also has a shopping street named “Mosaic Street”, a narrow passageway of shops that sells some accessories, gifts and food. 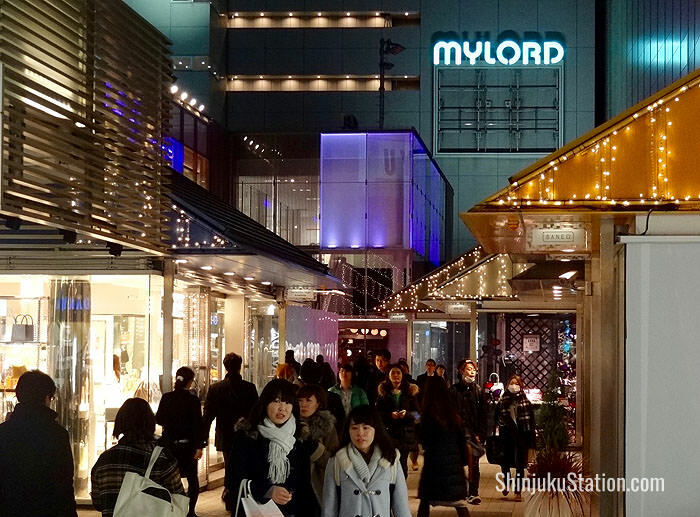 MyLord leads you to the Keio department store on the other side. Flags Shinjuku is a trendy shopping mall located just right next to the south exit of Shinjuku Station. It features popular fashion brands and the Gap store located on the ground floor is the anchor of the mall. OIOI (commonly known as Marui in Japanese) is a department store similar to Lumine Est, offering trendy fashion targeted at females in their 20s and 30s. They do have, however, a menswear floor as well. Most of the shops at OIOI are more affordable as compared with other department stores in the area. The first floor of the department store usually holds special events, while restaurants are at the bottom floor. It provides a nice, relaxed atmosphere for shopping! Opening Hours: 11am - 9pm from Monday to Saturday. 11am - 8.30pm on Sundays. Don Quijote is perhaps the best discount store for travellers! They sell a whole lot of items ranging from electronics, accessories, cosmetics, food, to even the smallest knick-knacks. You may even spot some top fashion brands as well! 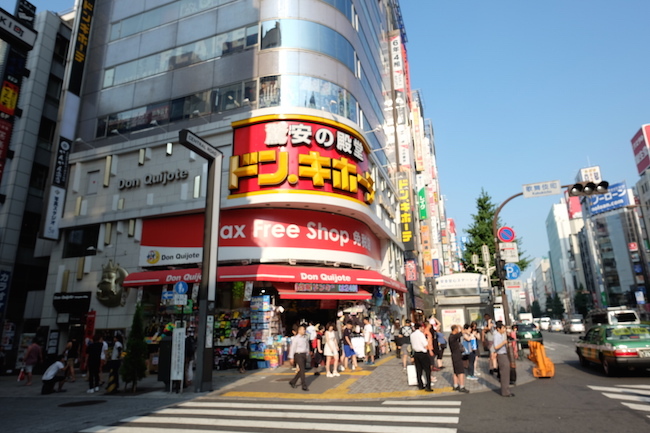 Don Quijote has stores country-wide (even extending to Hawaii) and the Shinjuku branch is located in Kabukicho. 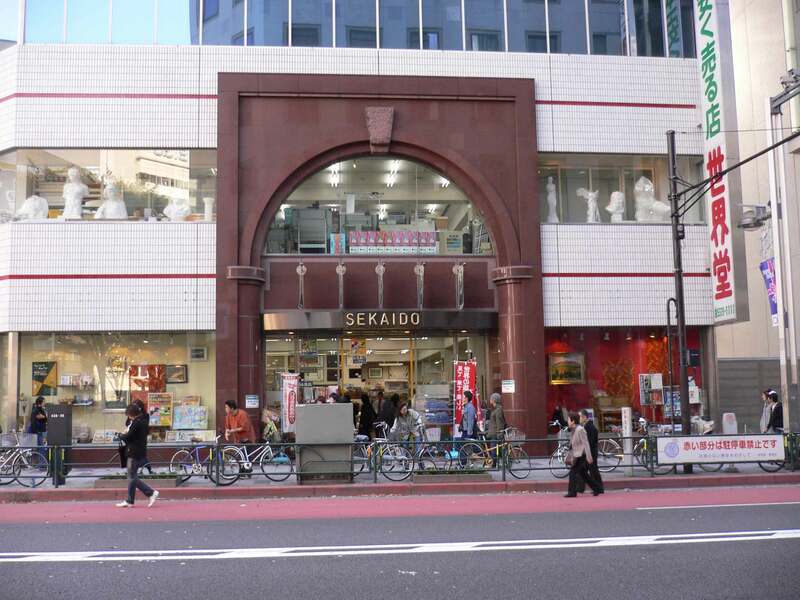 Founded in 1940, Sekaido is an art supply and stationary store. It sells paints, frames, paper materials and others, and Sekaido is a familiar name among the locals. Highly recommended to do art materials bulk buying here. 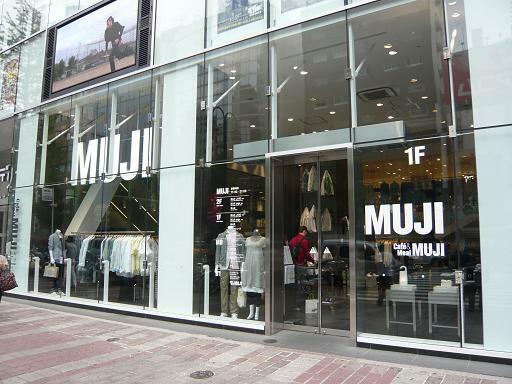 If you are in Japan, the Muji store is one place you have to pop by for a visit. Muji is a Japanese “no-brand” brand known for its design minimalism. Its products are simple, yet classic and they sell items like clothes, stationery, food, furniture, household items, cosmetics and more. Special note: This store has the largest selection of items compared with all other stores in Shinjuku. Be sure to check out their in-house café as well! The Café & Meal Muji Shinjuku uses seasonal ingredients to cook their dishes and they aim to serve delicacies that are healthy and nutritious. You can select a variety of deli choices and refreshing desserts at the food counter. Enjoy a relaxing afternoon with family and friends in the cosy café! The eye-catching Bicqlo building right at the centre of Shinjuku is certainly hard to miss. 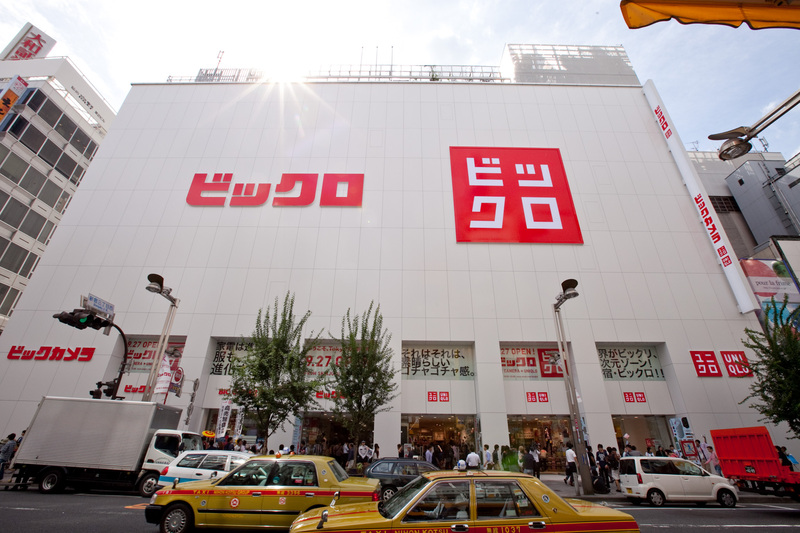 The “Bicqlo” name is a combination of Uniqlo, an affordable Japanese fashion label, and Bic Camera, an electronics store. Opened in 2012, Bicqlo has garnered much attention for its unique retail concept that combines two big brands under one umbrella. Similar to Bicqlo, Yodobashi Camera is a massive electronics store that has a wide selection of goods such as cameras, handphones, home appliances, video games and others. Huge bargains are also available! This guide summarises and highlights certain key department stores and shops worth visiting in Shinjuku. One extra tip: January, August and December are the best “shopping months” recommended. January is when the new year sales is held and there will be huge discounts for winter clothing. August is the period where you can find massive discounts on summer clothing. December marks the sales season for winter clothing and home appliances. In addition, do look out for the Golden Week sales held from late April to early May. So, are you ready for your shopping adventure? Tokyo Hipstart Hotel Guide - All Under USD120 per person!